Serving up delicious sweet treats is your specialty, but you need to draw in new customers continually. With so many competing bakeries, you might find yourself in a pinch. No need to worry, you can get marketing tools that match the quality of the baked goods you sell! Bring your brand to life with custom bakery business cards, gift cards and more! These sweet marketing tools will set your bakery apart from the competition helping to boost your revenue and grow your bakery. Mixing in unique marketing tools like bakery business cards and gift cards is the recipe for success for your bakery. Bakery business cards make a powerful first impression to help secure business for the future. Use custom shapes, unique colors, and other amazing features to stand out from competitors and "wow" potential clients. Continue to spread the word with gift cards for your cake shop, bakery or donut shop. Having customers gift your pastries to their loved ones is the most cost-effective way to bring in new customers. 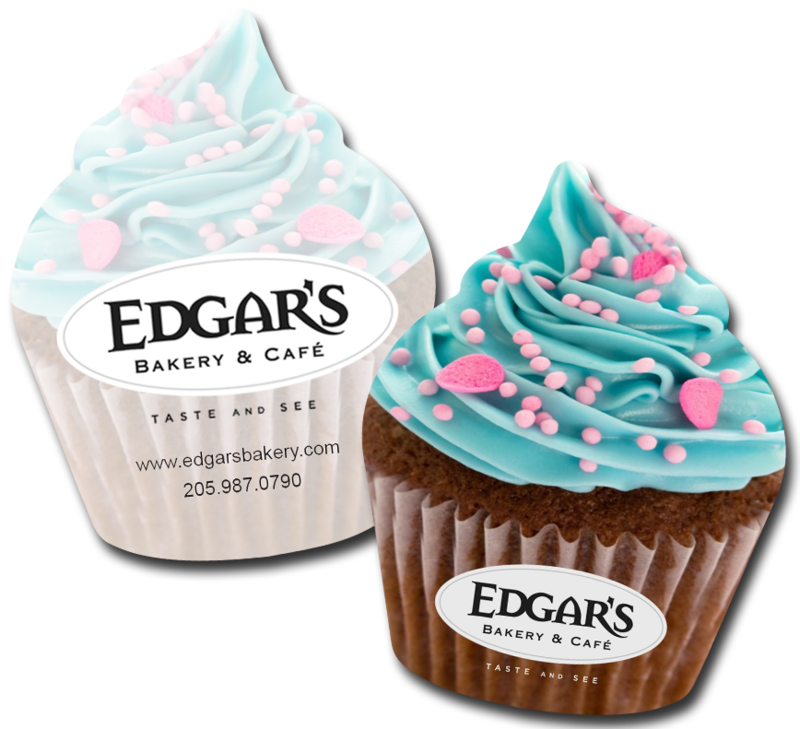 Complete your bakery marketing package with loyalty cards, rewards cards, menus, and other promotional tools. Are you a franchise or multi-location bakery? Smart Connect: Restaurant is the perfect solution for ordering your bake shop menu, rewards cards, loyalty cards, gift cards, and bakery business cards for all your locations. With our detailed campaign tracking, you'll never be more informed. Whether you are a franchise or single location bakery, we have a solution for you. Have questions about how to get started? Our experts are standing by to answer questions and provide excellent marketing tools for your cake shop, donut shop or cupcake shop. Don't wait, give us a call today!